Dereliction of duty, assaulting a fellow officer, mutiny; and this is only the beginning. 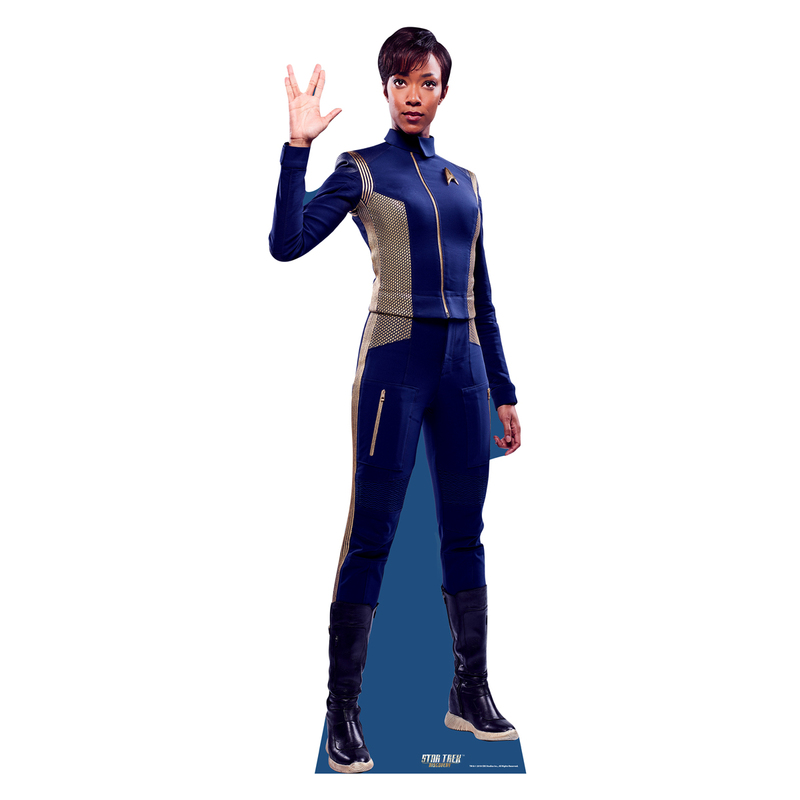 Show you're a fan of Science Specialist Burnham with the Burnham Standee. Burnham was ordered at the same time as Lorca. Both arrived in perfect shape thanks to good packaging for shipping. She looks great. The picture reproduction on this cardboard stand-up is really sharp and looks great up-close or from a distance. Recently used at 2 sci-fi events and many complements were received.